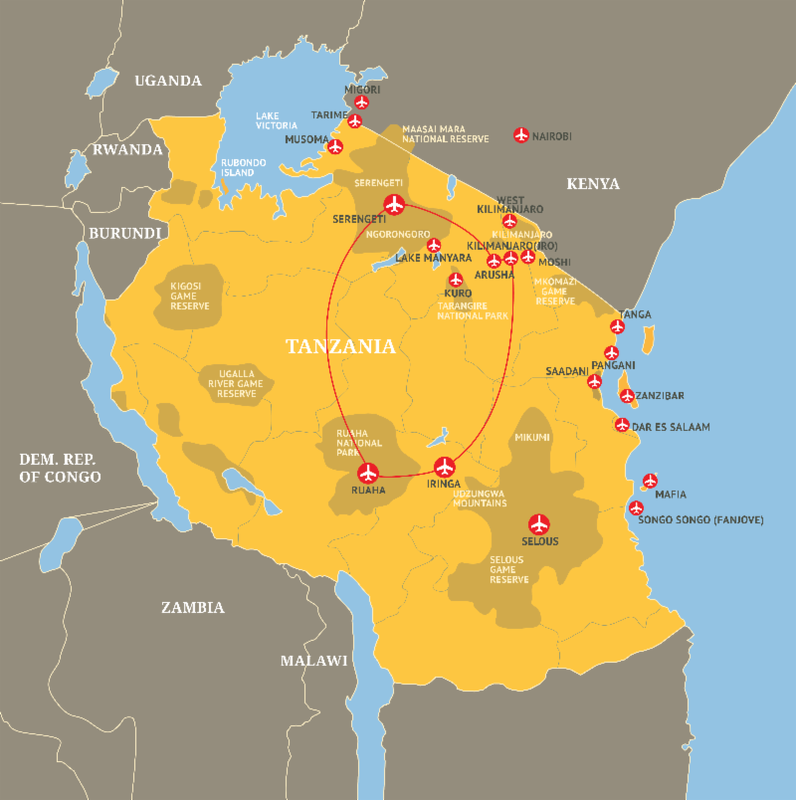 By linking Tanzania's largest National Park, Ruaha National Park, with Kilimanjaro International Airport (Tanzania's second largest international point of arrival), we are providing our trade partners with further options to link remote and authentic safari destinations with alternative international points of arrival / departure. Effective 1st June 2019, the daily flights between Ruaha/Iringa to Kilimanjaro and Arusha will allow passengers who are not continuing their onward journey to the Coast, to connect with Qatar Airways, Ethiopian Airlines, RwandaAir, KLM, Condor, Turkish Airlines and many more international connections directly out of Kilimanjaro International Airport. Please email us on fatema@coastal.co.tz or make an appointment to see us in Berlin, to discuss the timings and the prices.